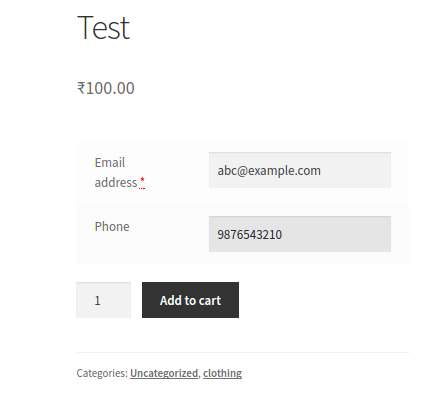 For the personal touch in online shopping - The Product Input Fields for WooCommerce allows you to add custom fields on your WooCommerce store, either globally or for individual products. 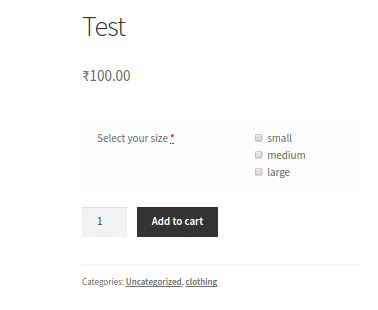 You can set specific options for each field, according to the type, size and niche of your store and products. You can add one or more from 19 field types to your WooCommerce product page, enhancing your product's appeal through customization. You can choose where to place it on the page and how to style it. More fields means greater flexibility. And more reason for customers to return to your store. It gives the customers a power they all want - to customize. 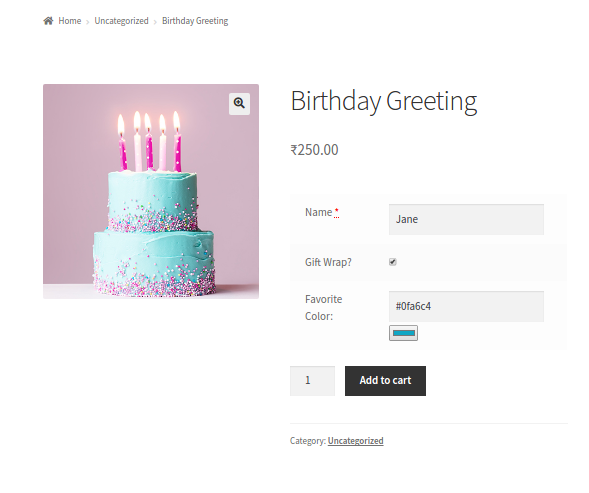 Whether they want to add a birthday greeting, ask for it to be gift wrapped, increase the number of products or change the colour, it can be made possible by adding specific fields. How the ‘color’ field will look on the frontend. 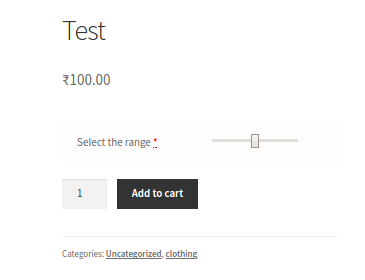 You can choose different types of input fields for individual products. Great plugin and customer support. Go for the pro version you won’t be disappointed. 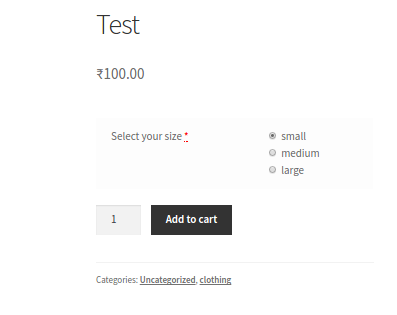 The Text field gives the customer additional information about a product. The Text Area field allows for a longer description for a product. If there is an image, a document or any file type that store owners need for reference, customers can upload it from the ‘File’ field type. Red or blue? Green or Maroon? Or a random colour on the colour wheel? The Color field allows customers to pick. Want to allow customers to pick their time of time, date or week of delivery? Use this input field. 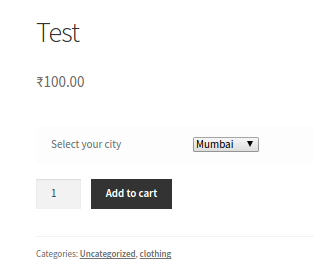 Say you ship the product to four cities, and want the customer to select from one. The Select field will allow customers to choose from a dropdown. 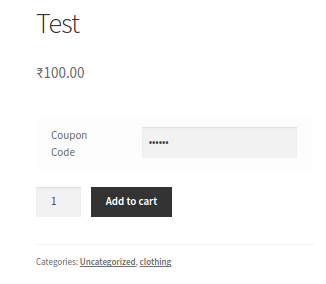 Want to give an exclusive coupon code for a specific product? The Password field will help with such a requirement. 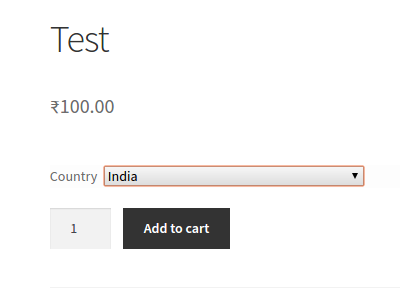 Especially useful for global businesses, this option let's customers select their country. It can help them know, for instance, if the product is available there or not. Say a customer is buying a gift card, and wants to send it to a specific email or phone. This input field helps with that. For products that are business-specific, you can provide a space for the customer to input their business domain or any other type of website. You’re a B2B business selling products in wholesale. You need to provide an upper and lower limit of the quantity that can be ordered. So you simply enable the ‘Range’ field type. Say you have a product in three sizes and you want to display them. Customers can select any one attribute in the 'Radio' field, and more than in the ‘Checkbox’ field. If you sell one or more products that could have several filters, based on attributes like price range, colour, size, material etc, you can use the 'Multi Checkbox' field to display all attributes for customers to choose from. Customize the input fields' HTML template. Different set of options for each input type. Add unlimited number of global or local input fields. Set restrictions for the various input fields. 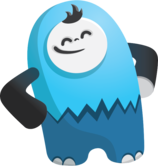 Great plugin – works really well and support is top notch. Great plugin and fantastic customer support. Which input fields are included in the plugin? The various input types you can choose from are text, textarea, select, checkbox, color, email, phone, datepicker, timepicker, number, file type etc. Can we add different fields to different products? Yes, you can add fields for individual products through the product admin side as well to all the products through the global setting. Can we make the fields mandatory? Yes, you can make the input fields mandatory for the user. Can we change the product price based on input fields? No, you cannot set a price for the fields. The input fields are added to get extra information from the user. 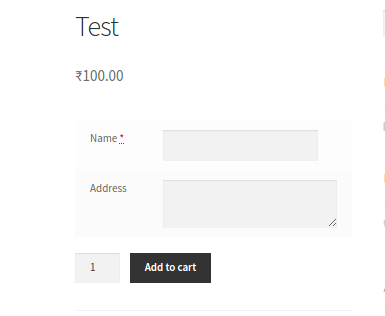 The Product Input Fields plugin gives the customer complete control on their order. Whether it's the color of the product, the date, week, time of delivery, the reference files they need to upload, or the country they want shipped to: all information and more can be displayed on the product page itself.